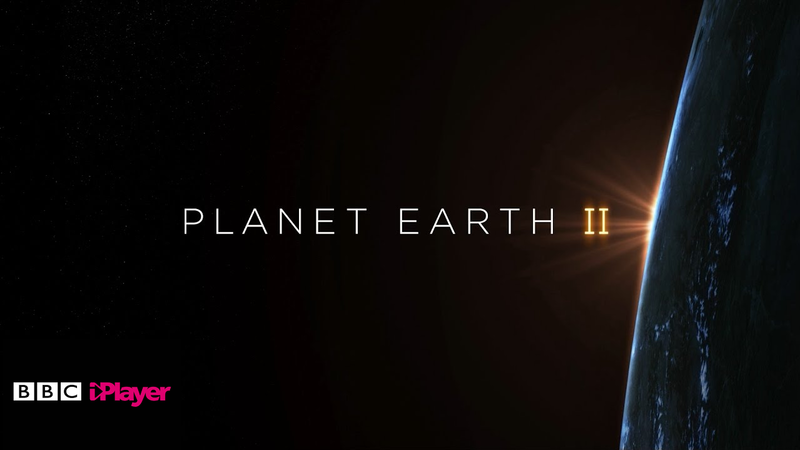 Planet Earth II has been named the most requested show on the BBC iPlayer, according to new data showing what users have been requesting during the past year. 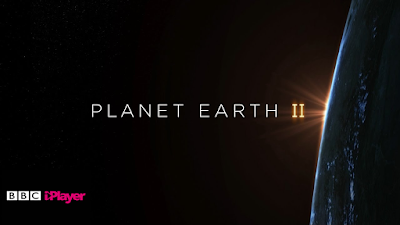 The first episode of Planet Earth II was requested more than 3.8 million times, helping 2016 to become the biggest year ever for the on-demand service. 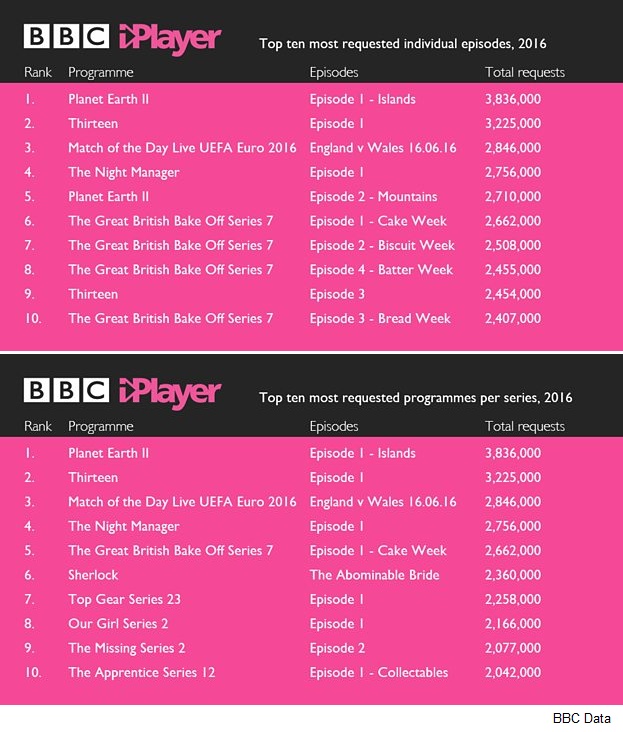 October and November saw the highest average number of daily requests that the iPlayer has ever seen, with 11.7 million requests per month, with the Great British Bake Off and The Apprentice also helping increase requests. On the back of the mass marketing campaign that saw BBC Three move online in mid-February, with a promo channel in its place on TV platforms until the end of March, drama series Thirteen saw 3.2 million requests for its first episode (made available 28th February), although later episodes had significantly fewer requests. Thirteen was also shown on BBC Two a week later. Olympic events from Rio were streamed live more than 30 million times across the summer. During Euro 2016, the England vs Wales football match had more than 2 million requests to watch the match live, becoming BBC iPlayer’s third most popular programme and most-watched live event of the year. The Night Manager and Sherlock's New Year special, The Abominable Bride all performed highly for the iPlayer.